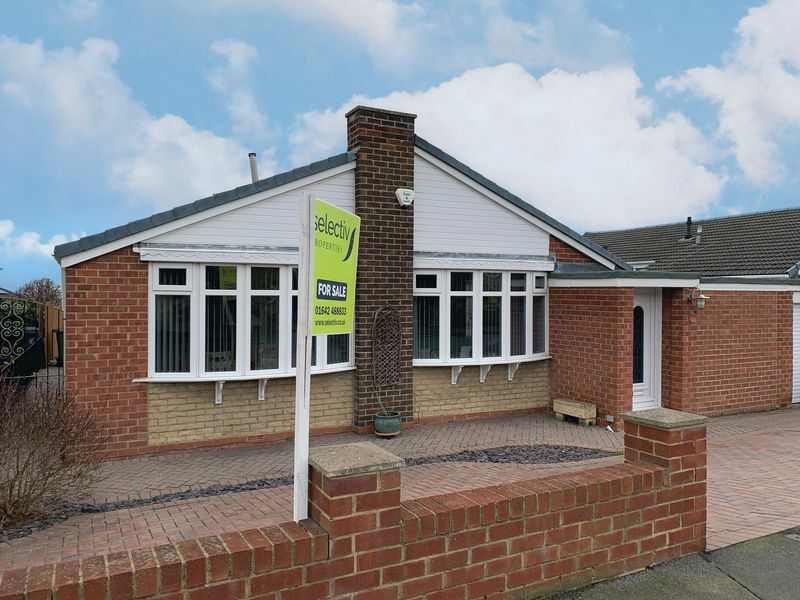 Standing in lovely landscaped gardens which afford complete privacy and seclusion is this simply stunning and much improved three bedroomed link detached bungalow. Having undergone extensive remodelling and refurbishment over recent years to provide imaginative, well planned and superbly presented accommodation. 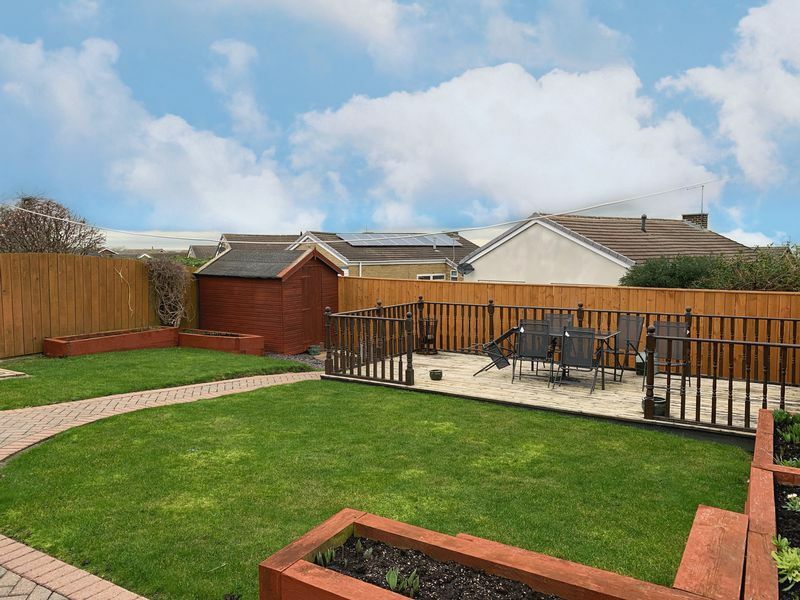 The property benefits from solar panels (providing an annual income), gas central heating and uPVC double glazing and principally comprises; entrance lobby, living room, kitchen / dining area, utility, three bedrooms and luxury shower room / WC. Externally; gardens to front and rear. Early viewing is advised to avoid disappointment. 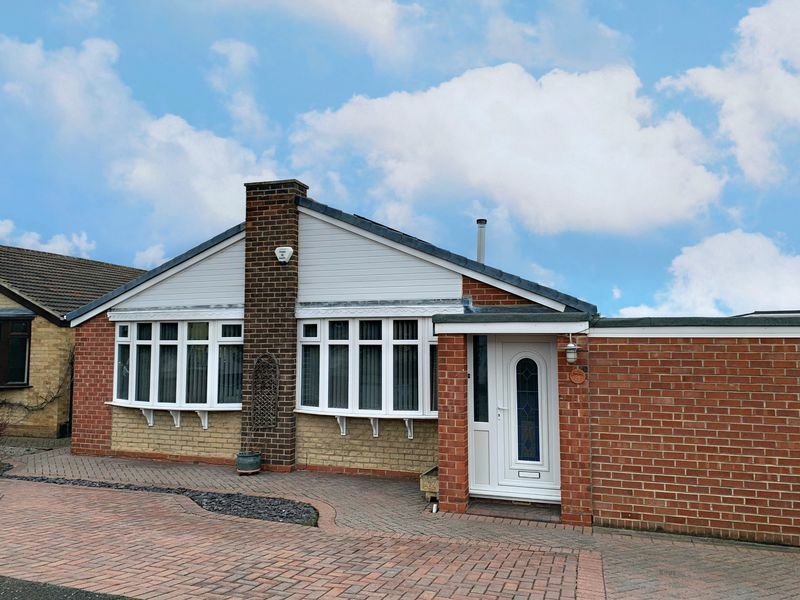 Standing in lovely landscaped gardens which afford complete privacy and seclusion is this simply stunning and much improved three bedroomed link detached bungalow. Having undergone extensive remodelling and refurbishment over recent years to provide imaginative, well planned and superbly presented accommodation. Early viewing is advised to avoid disappointment. 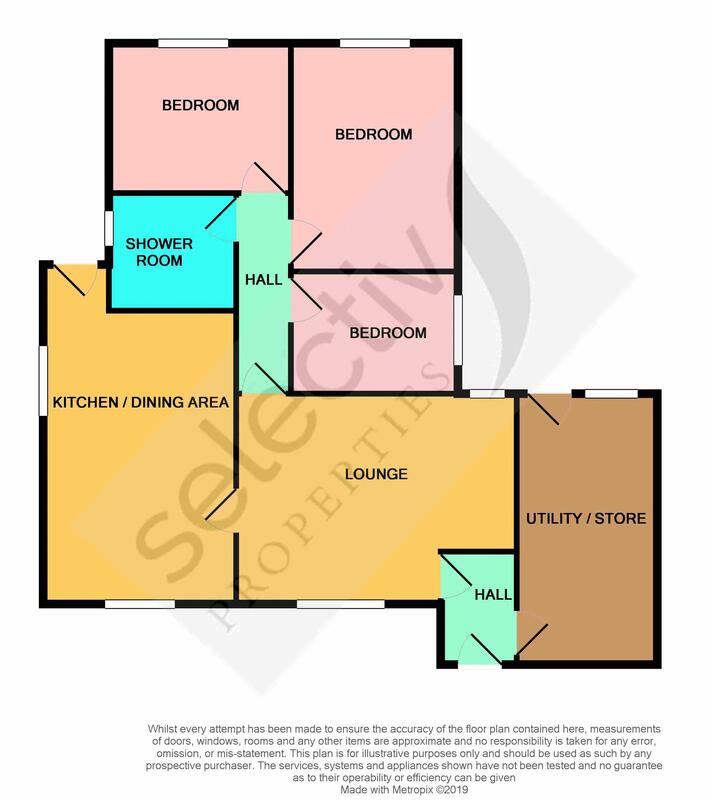 The property benefits from solar panels (providing an annual income), gas central heating and uPVC double glazing and principally comprises; entrance lobby, living room, kitchen / dining area, utility, three bedrooms and luxury shower room / WC. Externally; gardens to front and rear. uPVC double glazed entrance door to the front with adjacent glazed panel. 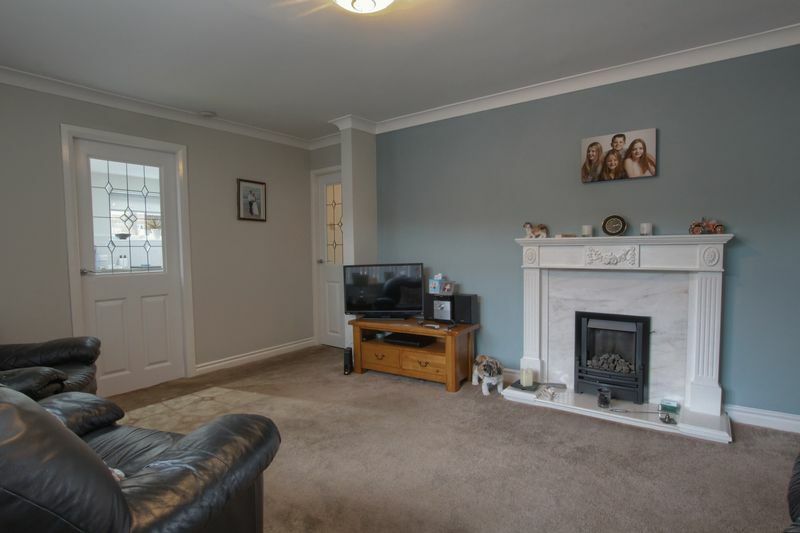 Stylish laminate flooring and beautifully partially glazed door to the living room. 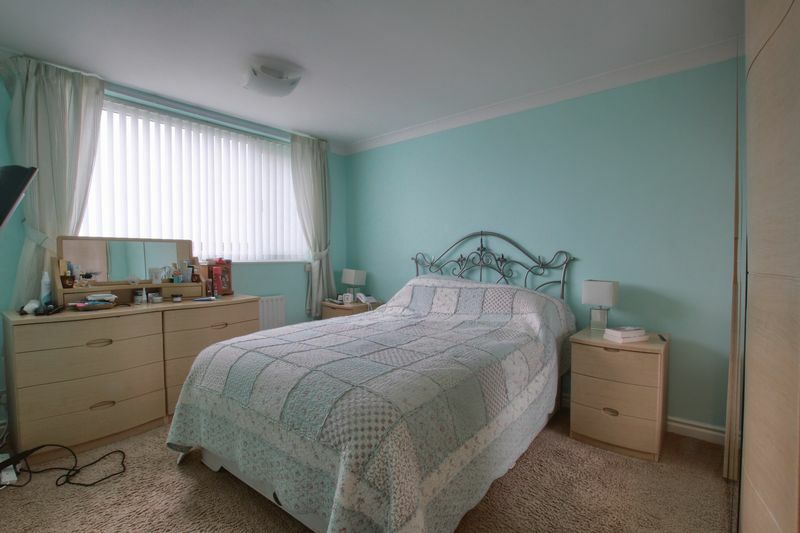 A light and airy room with attractive uPVC double glazed window to the front and uPVC double glazed window to the rear. Feature gas fire with decorative surround, double radiator and decorative ceiling coving. The real heart of the home with all the essentials for a budding chef! Modern range of wall and base units incorporating drawers and finished with laminate worktops and complimenting tiled surrounds. 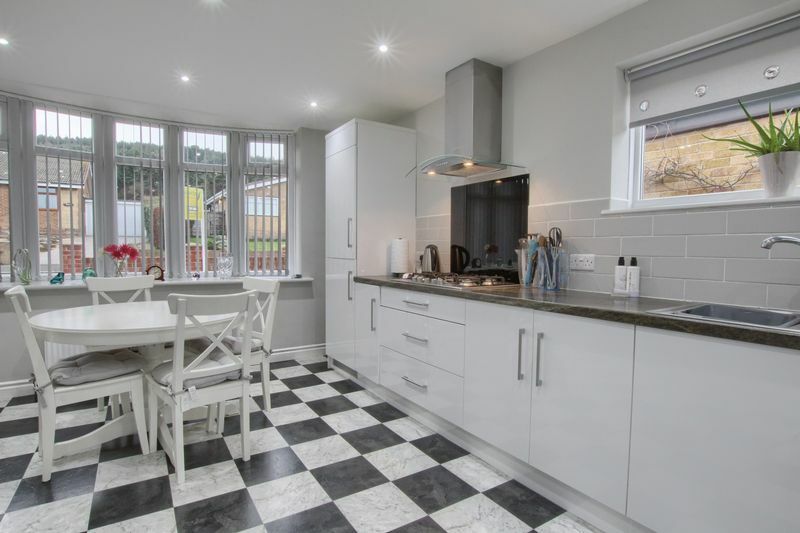 One and half bowl stainless steel inset sink unit with mixer tap, built in double oven with five ring gas hob, glazed splash back and cooker hood over. Integrated fridge / freezer and integrated slimline dishwasher. 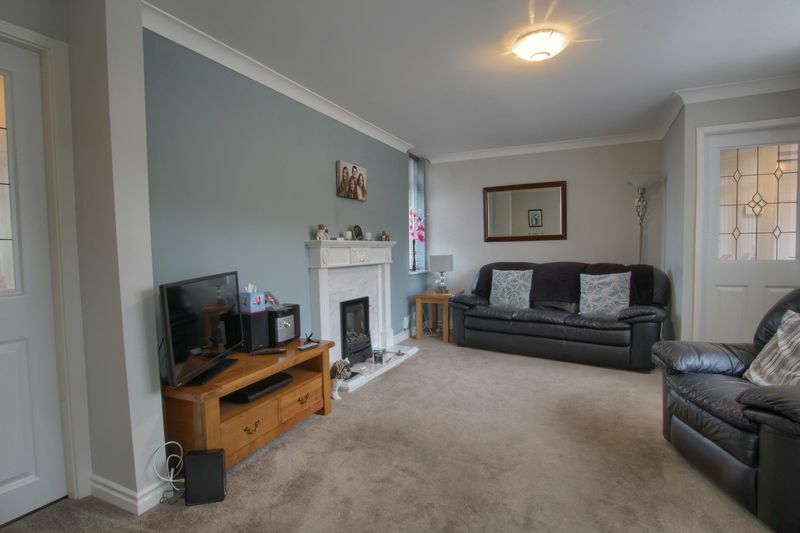 Distinctive Karndean flooring, double radiator and recessed halogen lights. Attractive uPVC double glazed bow window to the front and entrance door to the rear. 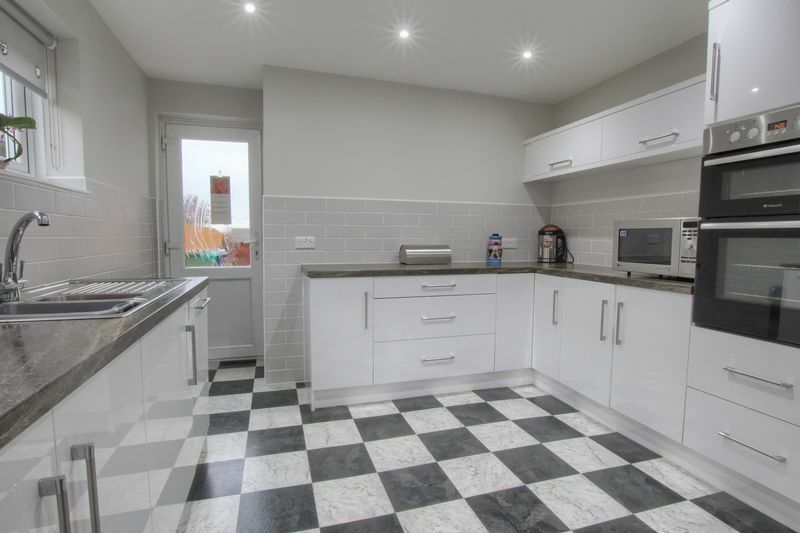 Range of wall and base units with laminate worktops and stainless steel inset sink unit. 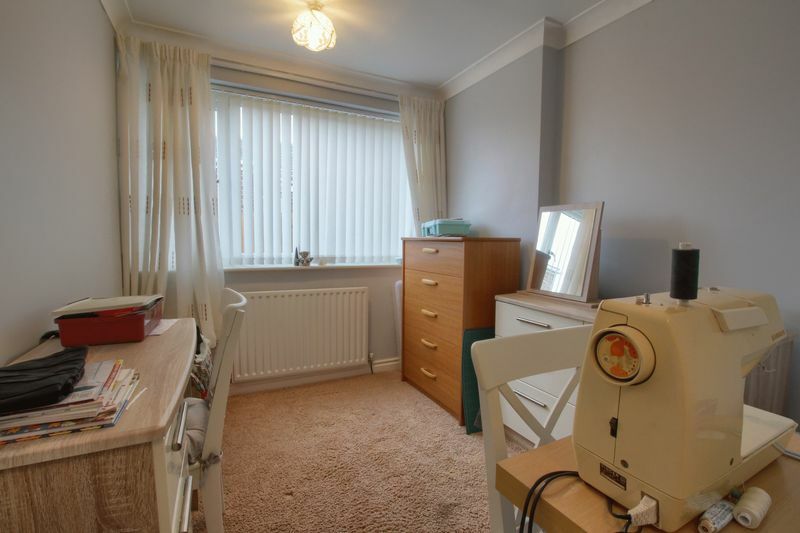 Plumbing for a washing machine, space for tumble dryer and space for both an under counter fridge and under freezer. 'Baxi' gas central heating boiler (fitted December 2018) and uPVC double glazed window and entrance door to the rear. Access to the loft space. 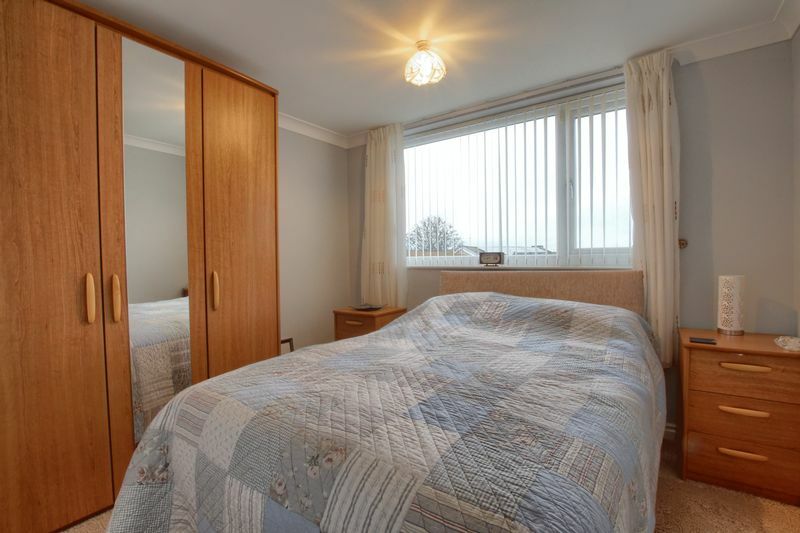 uPVC double glazed window to the rear, single radiator and decorative ceiling coving. uPVC double glazed window to the side and single radiator. 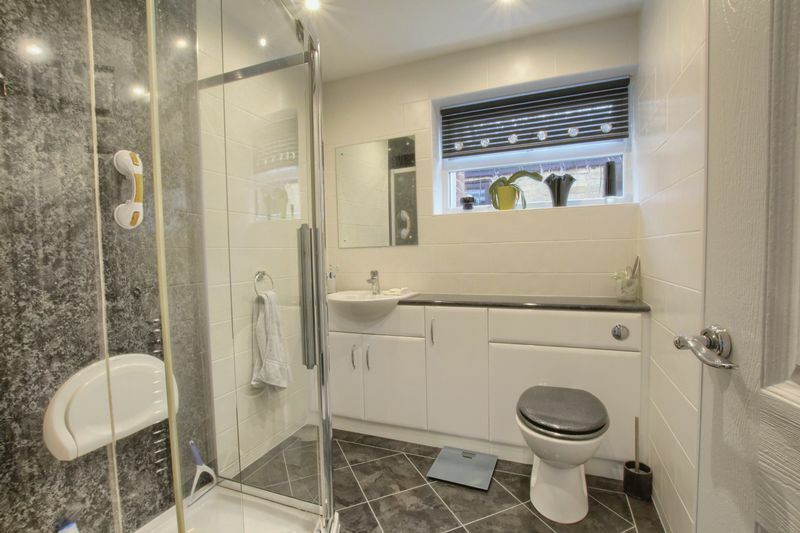 White suite comprising; glazed shower enclosure, wash hand basin with mixer tap, and push button WC. Vanity unit with laminate work tops, storage cupboard, distinctive Karndean flooring, chrome effect heated towel rail / radiator, extractor unit, recessed halogen lights and tiled walls. uPVC double glazed window to the side. 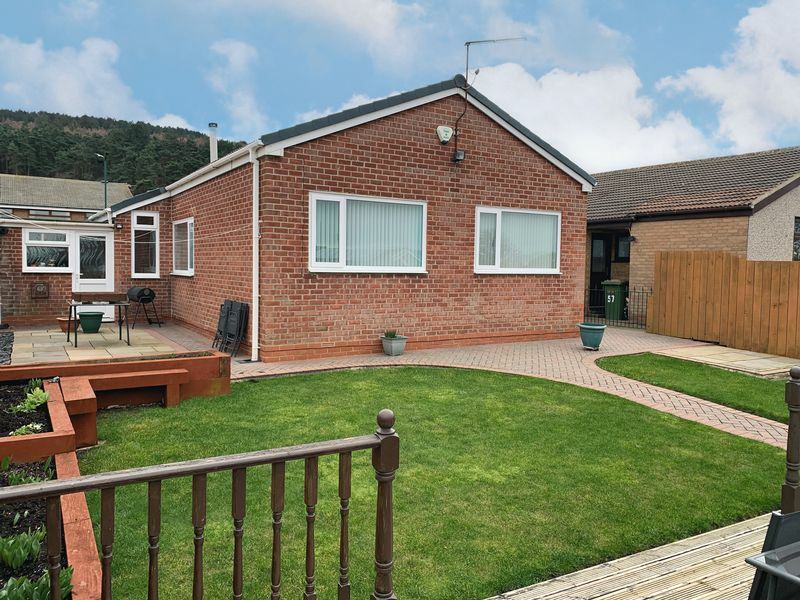 The front garden has been designed for low maintenance and to optimise the space for off road parking being fully block paved with a dwarf wall and considering planting. 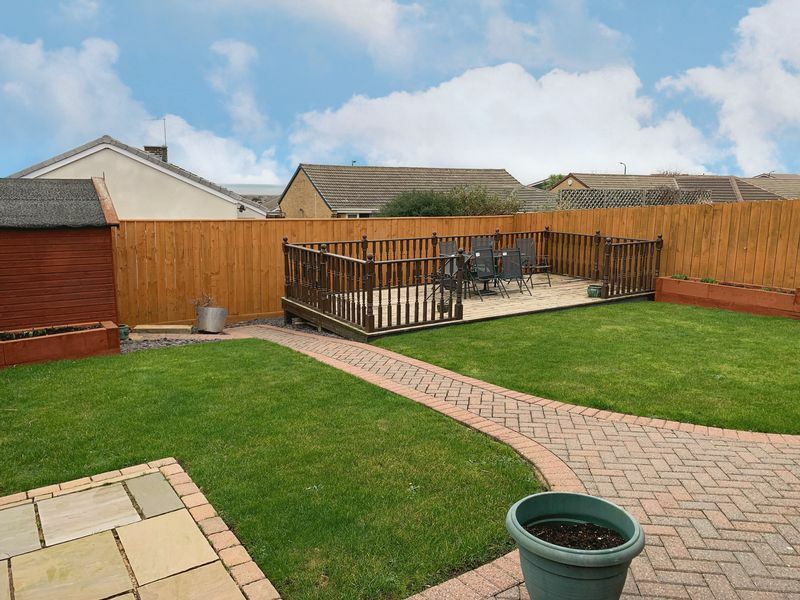 The fully enclosed rear garden offers a good degree of privacy beginning with Indian sandstone block paving with plum slate and raised borders. 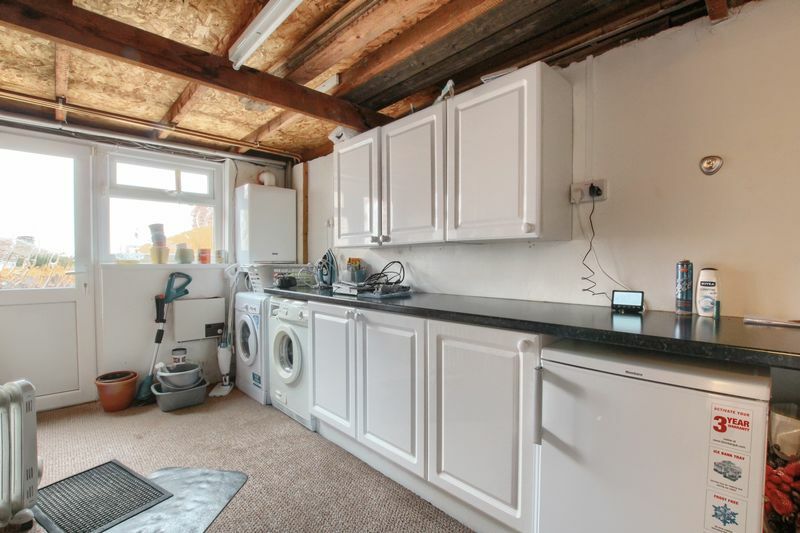 Further boasting a decked area, timber shed, outside tap and side access gate.